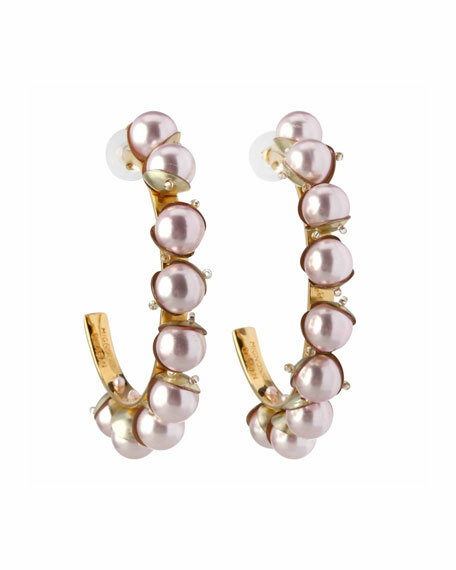 Mignonne Gavigan "Delfina" hoop earrings. 18-karat gold-plated brass open hoop frame. Swarovski® simulated pearl and sequin embroidery front. 18-karat gold post backs for pierced ears. For in-store inquiries, use sku #2532376.